The original focus of this study was an analysis of proteolytic enzyme activity of Alaskan arctic tundra soils, however initial results raised questions regarding the method (Watanabe and Hayano, 1995). Thus, the goals of the study changed to 1) an investigation of the method, and 2) a comparison of enzyme activities of two different soil layers from the arctic tundra. Methodological examination included the impact of toluene, used to prevent immobilization of the product, and blank correction of enzyme activity, and a search for a true 6-h linear rate of activity during a 48-hour incubation. We measured native and potential, using casein as an artificial substrate, activities as net amino acid production in mineral and organic soil layer samples. Varying toluene concentration had no clear effect on activity; omitting toluene resulted in zero native activity and reduced potential for the organic samples, but not for the mineral. Comparison of activities with and without blank correction indicated, particularly for potential activity of samples with low native rates, that correction was required for accuracy. Native and potential activity of the organic samples, and native of the mineral were linear for the first 6 h of incubation; linearity was observed during the 6 to 24 h incubation for potential activity of the mineral. Soil layer activity data indicated that native activity was higher in organic soils as compared with mineral. The organic layer potential activity was ten-fold greater than the native, suggesting substrate limitation; potential and native activities did not differ in the mineral layer, indicating substrate sufficiency. Casein addition changed the kinetic pattern for both layers from hyperbolic to sigmoidal for the mineral and linear for the organic, implying different enzyme pools or behavioral changes of existing pools. Native activity based on total soluble protein was higher for the mineral samples relative to the organic, reiterating substrate capacity differences and variations in enzyme/substrate interactions. Samples. Six moist acidic intertussock tundra soil cores, three organic (depth 0 to 15 cm) and three mineral (depth 0 to 10 cm) (interface between the layers was the 0 cm of the mineral core), were collected in late July 2001. Duplicate cores were randomly selected within a 100 m2 area with homogeneous vegetation cover. The cores were frozen at -20 °C and shipped to the University of Florida for storage as above. Subsamples were randomly selected from each thawed core and homogenized. These were used for determination of %C and %N, pH, organic and inorganic N, total soluble protein (TSP), total free amino acids (TFAA) and proteolytic enzyme activity. Bulk density was determined (Hobbie SE, Gough L, 2002, Foliar and soil nutrients in tundra on glacial landscapes of contrasting ages in northern Alaska, Oecologia 131:453-462). Determination of soil chemical characteristics. Total C and N were determined using a Costech ECS 4010 Elemental Analyzer (Valencia, CA). The pH was measured for each soil core using a soil:water ratio of 1:2.5 for the mineral samples and 1:10 for the organic. Inorganic N was extracted with 0.5 M K2SO4 (1:5:w:v) and determined colorimetrically using an autoanalyzer (Astoria-Pacific International, Clackamas, OR). Persulfate oxidation digestion was used to extract total dissolved nitrogen from K2SO4 extracts (Sollins P, Glassman C, Paul EA, Swanston C, Lajtha K, Heil JW, Elliott ET, 1999, Soil Carbon and Nitrogen: Pools and Fractions. Oxford University Press, Inc., New York, USA). The samples were digested at 80° C overnight; nitrate was determined colorimetrically as above. Check solutions of N-nitrate and N-glycine were included in the assay. Total dissolved organic nitrogen (DON) was calculated from this value minus the total inorganic value (DIN). Extraction of TSP was done with 0.1 M NaHCO3 (1:5:w:v) (Ladd JN, Paul EA, 1973, Changes in enzymic activity and distribution of acid-soluble, amino acid-nitrogen in soil during nitrogen immobilization and mineralization. Soil Biology and Biochemistry 5:825-840; Weintraub MN, Schimel JP, 2005, Seasonal protein dynamics in Alaskan arctic tundra soils. Soil Biology and Biochemistry 37:1469-1475). After vacuum filtration the samples were spun 5 min at 14000 rev min-1 (Eppendorf Micro Centrifuge, Model 5415C, Brinkmann Instruments, Inc., Westbury NY) and the supernatants frozen at -20 °C prior to analyses. Protein was measured against γ-globulin (0 to 500 μg ml-1) (Bradford MM, 1976, A rapid and sensitive method for the quantification of microgram quantities of protein utilizing the principle of dye-binding. Analytical Biochemistry 72:248-254) adapted for absorbance readings using a microplate reader (BioTek Instruments, Inc., Winooski VT, Bio-Rad Protein Assay, Bio-Rad Laboratories, Hercules, CA). 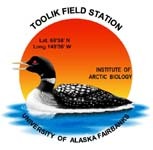 Distilled water was used to extract TFAA (1:5:w:v) (Kielland K, 1995, Landscape patterns of free amino acids in arctic tundra soils, Biogeochemistry 31:85-98). Amino acid concentration was determined as N using leucine as the standard (0 to 2.8 μg amino acid-N) and ninhydrin, which reacts with primary and secondary amines, and ammonia, as the detection agent (Lipson DA, Monson RK, 1998, Plant-microbe competition for soil and amino acids in the alpine tundra: effects of freeze-thaw and dry re-wet events, Oecologia 113:406-414). Effect of toluene concentration on proteolytic enzyme activity. Core subsamples were weighed and divided into one or 2 gram wet weight aliquots, depending on the subsequent toluene concentration; there were three replicas per concentration. The samples were placed in specimen cups at 15 °C overnight; incubation buffer (see below) was added the next morning. Three toluene concentrations were tested: 1) 2 g wet soil, 0.16 ml toluene, with a final volume of 16 ml (1.0% v:v) (modified from Weintraub JN and Schimel JP 2005); 2) 1 g wet soil, 0.4 ml toluene, with a final volume of 12 ml (3.33% v:v) (Watanabe K, Hayano K, 1995, Seasonal variation of soil protease activities and their relation to proteolytic bacteria and bacillus spp in paddy field soil, Soil Biology and Biochemistry 27:197-203); and 3) 2 g wet soil, 0.8 ml toluene, with a final volume of 16 ml (5.0% v:v). Samples without toluene were 1 g wet soil and 12 ml incubation buffer. A formula ((0 or 3.33% activity [μg amino acid-N]/12 ml incubation buffer) x (16 ml incubation buffer/2 g])) was used to correct the variation in mass/volume vs toluene concentration between the two different sample sets with the assumption that the effect is linear. Soil incubation and measurement of proteolytic enzyme activity. Soil slurries were prepared by adding incubation buffer (50 mM sodium citrate, pH adjusted to within 0.1 unit of the respective soil sample) acclimated to 15 °C and the respective quantity of toluene (Watanabe and Hayano, 1995; Lipson DA, Schmidt SK, Monson RK, 1999, Links between microbial population dynamics and nitrogen availability in an alpine ecosystem, Ecology 80:1623-1631; Weintraub and Schimel, 2005). Native proteolytic enzyme activity was determined on these samples; 0.3% (final concentration) casein was added to a replicate set for determination of potential proteolytic activity. All samples were incubated at 15 °C for a total of 48 h. Subsamples were taken at 0, 3, 6, 12, 24 and 48 h. Enzyme activity was stopped by adding trichloroacetate (TCA) buffer (1:1:v:v) followed by freezing at -20 °C (Lipson et al., 1999). Buffer controls in the absence of soil were treated exactly the same as the soil samples and will be referred to as blank corrected. Proteolytic enzyme activity was determined with modifications and adaptations for absorbance measurements using a microplate reader (Watanabe and Hayano 1995; Lipson and Monson 1998; Weintraub and Schimel, 2005). Thawed samples were spun 5 min at 14000 rev min-1, and the supernatant was used for activity determinations. Activity was measured as net amino acid production against leucine in 50% TCA buffer, which corresponded with the sample matrix and was found to have no effect on leucine concentration. Two standard curves (0 – 2.8 μg amino acid-N and 0 – 7 μg amino acid-N) were used depending on the activity of the samples; the lower curve was sensitive enough to detect quantities as low as 0.01 μg amino acid-N. Three activity measurements were taken per sample, and activity was determined on soil dry weight or total soluble protein bases. The effect of toluene on leucine measurements was also assessed and no effect was found. Reactive NH4+ was not accounted for (see Weintraub and Schimel, 2005). Control values were subtracted from the sample values throughout the 48-h time course. Progress curves, which measure product increase over time, were used to examine reaction kinetics (Duggleby RG, 1995, Analysis of enzyme progress curves by nonlinear regression, Methods in Enzymology 249:61-90). These curves reflect the impact of changing substrate concentrations and product accumulation, providing a clearer idea of enzyme kinetics during long-term incubations. Sigma Plot (Systat Software, Inc., Richmond CA) was used to select the best curve fit. Statistical analysis. For each soil layer the effects of toluene concentration, casein, and interaction between the two on proteolytic enzyme activity, as determined by net amino acid accumulation, between zero and 6 h, and zero and 48 h were assessed with a two-way mixed analysis of variance (ANOVA) model. Time zero and all negative values were treated as all the others. F-values were based on type III sums of square (Sokal R, Rohlf FJ,1994, Biometry. 3rd Edition, WH Freeman and Company, NY, USA). The degrees of freedom associated with appropriate F-values were computed using Satterwaite’s approximation (Littell RC, Milliken GA, Stroup WW, Wolfinger RD, Schabenberger O, 2006, SAS for mixed models, 2nd Edition, Cary, NC: SAS Institute Inc.). Significance was determined using a Bonferroni test at the level of p&lt;0.05. A residual analysis was performed to check normality and homogeneity of variance (Levene’s and Welch’s tests), and logarithmic transformation was used to achieve normality when necessary. Repeated measures ANOVA were used to test the effects of toluene concentration (excluding the 0%) and time, and their interaction on enzyme activity for the observed linear portion of the time course curves. All statistical analyses were computed using SAS 9.1. Note. The data collected in this study are published in Soil Biology and Biochemistry 43:70 (2011). A corrigendum was sent in January 2013 indicating that all enzyme activities, accumulation values and the total free amino acid content should be reduced by a factor of five. The data presented reflect this change as do the standard curve values described in the methods section.